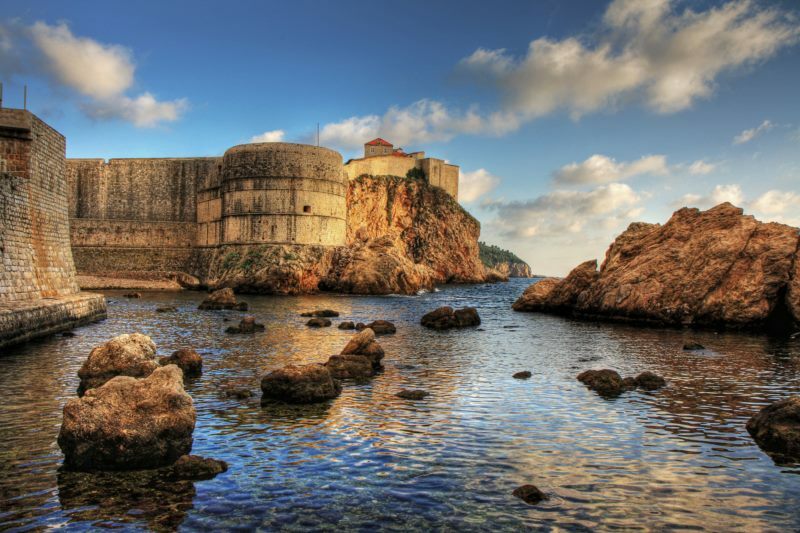 flooded with the pleasant wintry sun, Dubrovnik in winter is delightful in its sheer beauty. Without the hubbub of crowds of tourists, it offers the relaxation which enables people to rediscover themselves, inspiring and fulfilling them. You can enjoy sitting in one of the charming café bars in Stradun and the nearby streets, savouring dishes from the time of the greatest Croatian playwright Marin Držić and learning about the history and heritage in the Dubrovnik museums and galleries. The Dubrovnik Christmas Fair at Sponza Palace will enchant you with the lights, music, smells and tastes of the Dubrovnik holiday tradition. The New Year Party in Stradun and elegant hotel parties are spectacular events featuring pop stars and enthralling thousands of visitors. The New Year Concert in Stradun taking place on 1 January at noon is unique. Stradun and city walls resound with classical evergreens and operatic arias which enhance the first day of the New Year. Come to Dubrovnik in February, put on a mask, join the Four Days of the Dubrovnik Carnival and dance at the City Café and Theatre. Soak up the atmosphere of the Festival of St Blaise and thousands of banners in Stradun, while our patron saint watches over you from the city walls and gates. Theatre plays, concerts and night parties at the clubs of Dubrovnik are equally attractive and intriguing in winter. And to crown it all, the mild Mediterranean climate allows you to enjoy your coffee in the open air all the year round.